Integration of heterogeneous information sources has been one of important research issues in recent advanced application environments. Today, various types of information sources are available. Dissemination-based information delivery services that autonomously deliver information from the server sites to users are among the useful and promising information sources. 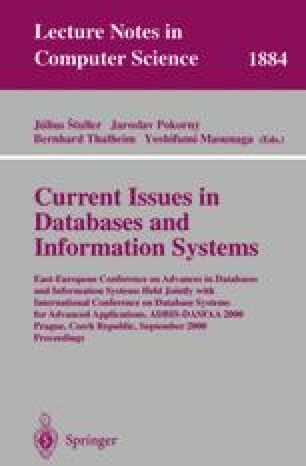 In this paper, we present incorporation of dissemination-based information delivery into information integration environments. The integration here has two goals: (1) Users can utilize dissemination-based information services as other information sources such as databases and the Web. Namely, they can be sources of information inte gration. (2) Users can obtain integrated information through dissemination-based delivery. We explain this requirement can be met by a combination of an information integration engine and event-driven rule processing scheme. We also explain prototype system development.